Using past papers is a fantastic way to find out how your revision is going, where you need to improve and for getting to grips with exam technique. With exams fast approaching, we've put together this handy guide to help you revise using past papers. See image credits in the credits page. Past papers are an important tool for revision. â€œDo every past paper, twice if possible,â€� says Yellow 636. If mark schemes, specifications, Chief Examiner reports and past papers all sound a bit confusing, donâ€™t worry. After reading this article youâ€™ll be able to use past papers to really get on top of your subject and nail your exams. â€œI think my Easter holiday will consist of drowning in past papers,â€� says chantellerose. Hereâ€™s how to swim not sink. Mark schemes will help you work out where youâ€™ve gained and lost marks, and how well youâ€™re answering the questions. Sometimes â€œmark schemes are so specific, and so even when you know the topic well, you can still do really badly if you haven't done any past papers,â€� says UnknownAnon. Be aware that there are sometimes key terms you need to cover to get marks. â€œYou have to hit exact points and if you donâ€™t itâ€™s 0 marks,â€� warns ayemariec. Asurat explains that this is why using a mark scheme is essential. It helps you not to lose any marks for questions youâ€™ve understood, but havenâ€™t answered the way the examiners want. You should also use the mark scheme to idenify weaker areas that you need to brush up on. 1. Is the paper divided into sections? 2. What choice is there? 3. How much time should you be spending on each section? 4. Have you covered all the sections in your lessons? You might find that youâ€™ve been taught how to answer questions on one topic. Make sure you know which youâ€™re covering so you donâ€™t try to answer the wrong questions on the day. â€œFocus on exam practice by reading the Examinerâ€™s Report,â€� says YounesB. This is great advice, and he isnâ€™t the only one who follows it. â€œI also printed off examiners reports for some chemistry papers to see what common mistakes are, and what you're not supposed to do,â€� says chantellerose. What is the Chief Examiners Report? 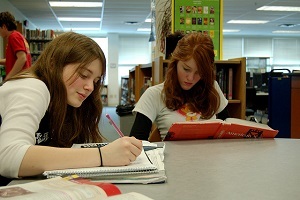 Each year, comments from people who mark the exams are collected together and published. These are really useful as they let you know what examiners are looking for, and common mistakes made by students sitting the exam. By reading through them, you can learn what not to do, and what mistakes you need to avoid. 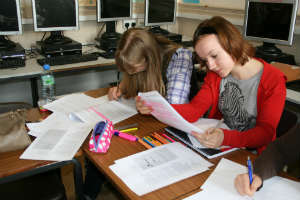 Group revision Have a look at the exam board's specification, and try to link areas of the specification against the questions in the papers. â€œI think it's really useful to make notes from the specification on their website. I do the same exam board and I know they can only ask what is on the specification,â€� says Katniss15. Chantellerose also uses the specification to make sure sheâ€™s on top of all the topic and understands everything. Examiners try to cover most of the specification each year in their questions. They will also vary the issues they ask about each year. Itâ€™s pretty dangerous to rely on â€˜question spottingâ€™, but you may well find certain topics that appear again and again - or some that havenâ€™t been asked about for a while. 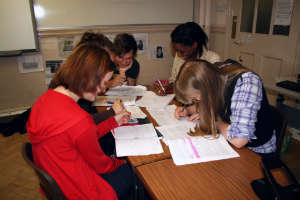 Group revision is really useful for getting a complete picture. Sometimes you canâ€™t see the wood for the trees when youâ€™re going through your own work. Plan answers to several papers, then compare them with each other. â€œIt can be useful to take a question with the mark scheme and make a model answer,â€� says Katniss15. Go through your answers together and check them against the mark scheme. That way youâ€™ll be able to highlight where everyone is doing well and what still needs work.